If you read my blog regularly, you probably know that I am in love with Dropbox and recommend it to everyone to try it. 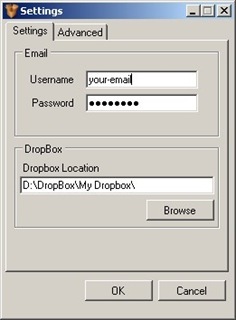 Dropbox is a multi-OS, file sync freeware that you can use to sync files between various computers you have. You can also get to your files and folders from anywhere as long as you have an Internet connection. Here is another one – you can upload files to Dropbox by email. MailDrop is an application that lets you send files to your Dropbox account by email. This can come in really useful if you were in a situation where you can’t get to your Dropbox account or need to upload file from a mobile device where file handling aren’t that friendly (unless your have iPhone Dropbox). MailDrop is a portable application for Windows that runs in the background in your computer. It periodically checks your email address via IMAP. 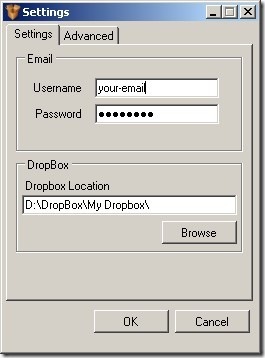 If it finds an email with a ‘Dropbox’ label (or folder if you are not on Gmail), it searches for attachments and downloads to your local Dropbox folder. 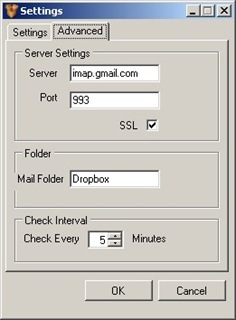 MailDrop uses a local Internet connection to your email account to download attachments from mails labeled Dropbox. If you are wary about providing your primary account, you could do this instead. Setup another email address. 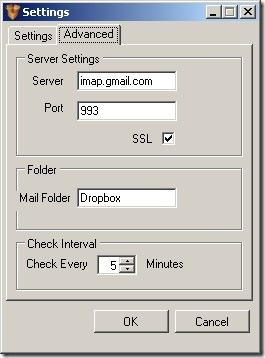 In your current Gmail account, setup a filter to automatically forward any email labeled ‘Dropbox’ to the new email you setup. Now, use that email to download to MailDrop. I love all the cool things you can do with some of these Dropbox hacks. Drop a comment here, if you have your own cool hack you would like to share. Does this work even when the computer is off? So if I’m out and about with my iphone and someone e-mails me with a pdf attachment say, will it automaticaly go to my dropbox account or will this only happen when I switch my computer back on? I found your blog on MSN and read a few of your other posts. I just added you to my favorites. Keep up the good work. Look forward to reading more from you in the future.